28% of adults are illiterate, 22% are men and 33% are women. 17,6% of people from 15 to 24 years old do not know how to read and write. Net rate enrollment in primary schools has risen from 62% in 1999 to 83% in 2009 : the country has made huge progress. The removal of school fees and the setting up of scholarships for girls helped to accelerate the progress. 1 million primary school age children are left without an education and 48% are girls : Kenya is among the ten countries in the world with the lowest rate of school enrollment. ( source : UNESCO). 20% of children sent to primary school drop out before the last year. Gender and economic inequality is still very prevalent in Kenya, this is in large part due to geographic location. For example, in the rural areas of the North East, 44% of 7 to 16 year old girls have never been to school. Children coming from rural population groups are particularly discriminated against. In the three provinces with the highest rural populations, net primary school enrollment rates are the lowest of the entire country, 30% of the boys and 20% of the girls have access to education. Children who live in slums are particularly affected ( in Nairobi, one third of the population, namely one million people live in slums). These slums are deemed illegal by the authorities, therefore the population’s needs here are completely ignored by the government. 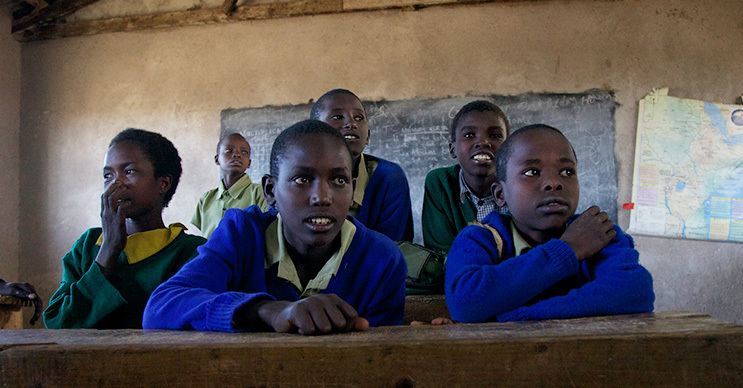 As a result, there are no government subsidized free schools in the slums leading to a rise in low-budget private schools that the poverty-stricken parents must pay for as opposed to the free schooling parents enjoy in the city (Kenya is one of the first countries in Sub-Saharan Africa to offer free-educaion). Another large marginalized group in Kenya is the refugee population (Kenya is the first African country to recieve refugees, mostly those escaping the conflicts in Somalia and Sudan). What way could I help Jackson and his sister?